Nova Scotia has a grim history of disproportionately locating dumps and toxic waste sites near populations of colour. 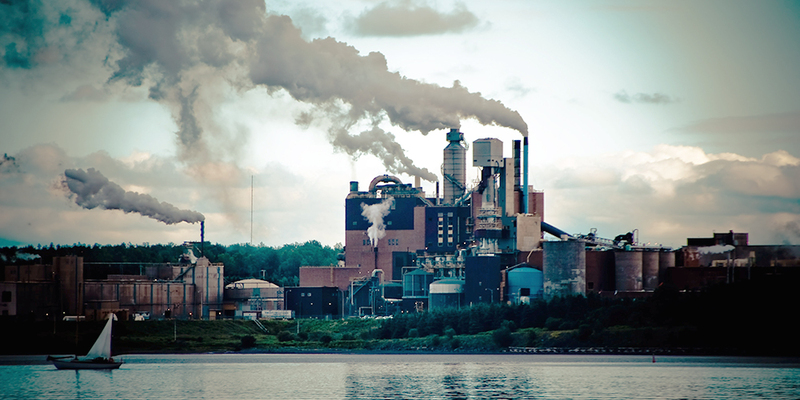 Earlier this year, Nova Scotia MLA Lenore Zahn introduced Bill 111, An Act to Address Environmental Racism, a bill designed, in large part, to draw widespread public attention to this longstanding problem. At the bill's helm was Dr. Ingrid Waldron, the academic coordinator behind the ENRICH project, a community engagement and research initiative that has been probing the province's toxic industries since 2012. We reached out to Dr. Waldron, who is also an assistant professor of the Dalhousie University School of Nursing, to find out the origins of the ENRICH project, what the response has been and whether “environmental racism” is a tough concept to sell. How do people respond to the concept of environmental racism? I don't think people see it. People think that in order to understand that polluting industries are disproportionately found in black and indigenous communities throughout Canada and the United States, then you would have to believe that there is some kind of malicious intent. But racism doesn't really work in that way. It manifests within the broader socioeconomic structures of the society. And Halifax had many issues with that. There was segregated schooling; black people went to separate schools. The mere fact that you have cheap land and feel it makes sense to put industry there, and the cheap land happens to be where black and indigenous communities live—then you do have to understand why their land is cheap and why white land is expensive. When I met with various government agencies, they weren't getting it. But members of the general public are getting it, and a lot of the media coverage has taken up the definitions that our team has developed and communicated. I think that members of the public are on board, and many of them are white. How did the ENRICH project get off the ground? An activist from the Nova Scotia Public Interest Research Group, or NSPIRG, who had been involved in work around environmental racism and environmental justice approached me in the spring of 2012. He and other activists had done a lot of great work since 2003, but there'd been a lot of burnout. So he came into my office and asked whether I'd like to take the project on. I thought a little bit about it. I liked the health part about it; when I was doing my PhD in Toronto I studied the impact of discrimination on the mental health of black women. Environmental issues weren't on my radar, but there was a health aspect to it so I took it on. It was very new to me; while I'd heard of environmental justice issues, I didn't know that there was a disproportionate effect on communities of colour. In 2013 we received a grant to conduct a series of workshops. We visited five regions in Nova Scotia, some very remote, and then held a final workshop in Halifax, all to get community members to share their concerns. We went in with some questions and audio recorders, and got a sense of how the community would like us to address their concerns from an academic level and a policy level. From those I produced a report and sent it to key government agencies. I'm curious about how those government agencies have responded. Nova Scotia Environment, however, is responsible. I visited them three times last year, and they were very hesitant to take responsibility. I think their view is that the industry that's operating in a particular community and is perhaps polluting the air and groundwater is responsible for its own activity. But Nova Scotia Environment is responsible for granting industries approval to operate in a particular community. Anyway, I realized that the government was only prepared to do so much. It seems as though racism has suddenly become a much more widely accepted topic of conversation post-Ferguson, maybe even one that's increasingly better understood. Do members of the general public seem more receptive to the idea of environmental racism now than they did in 2012? Yes. I'm very happy to say that I've seen a transition. For whatever reason, my project has attracted mostly white people. For people of colour, it's a luxury for them to worry about this—in Nova Scotia they're worried primarily about jobs. But my project has attracted white, young, student activist types. And these are people for whom I don't have to explain anything. I think there was initially a discomfort around the word “race.” In Nova Scotia, you oughtn't say that word, because it makes everyone uncomfortable here in a way that it doesn't in Toronto. But I've noticed a shift, yes. What are your big hopes moving forward? We have three objectives right now. The first is to do much more community mobilizing—communities of colour need to be more engaged. The second goal is to make sure that Bill 111 is supported. That's a biggie, getting bipartisan support. Number three is waste cleanup: we're doing all this because ultimately we want the water and soil to be cleaned up, and the industry and polluters to be removed and not operate in these communities. Now we have people who are experts in environmental legislation and environmental assessments on board, expertise that I did not have before, and some students once again with a lot of energy. I want to make use of that.